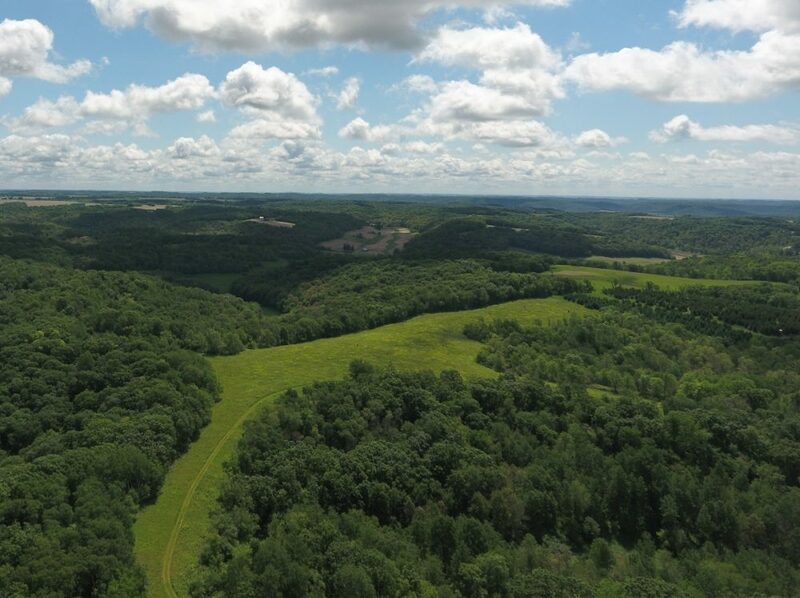 The Cat’s Paw Prairie is a 15 acre field on the top of our hills. 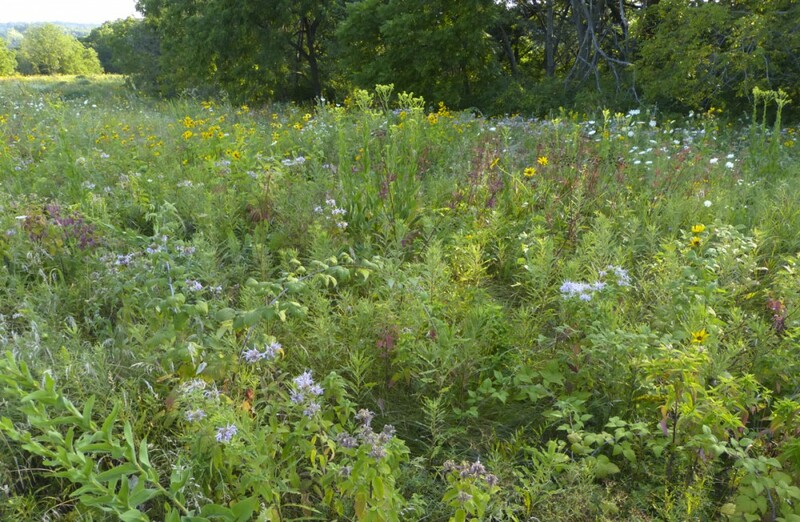 It’s the first of the upper fields that we planted in prairie – in the fall of 2002. And it’s one of the two prairies that we planted with a seed drill. Its name comes from a narrow strip of the field that curves up to the north from the main part of the prairie making it resemble a cat’s paw. 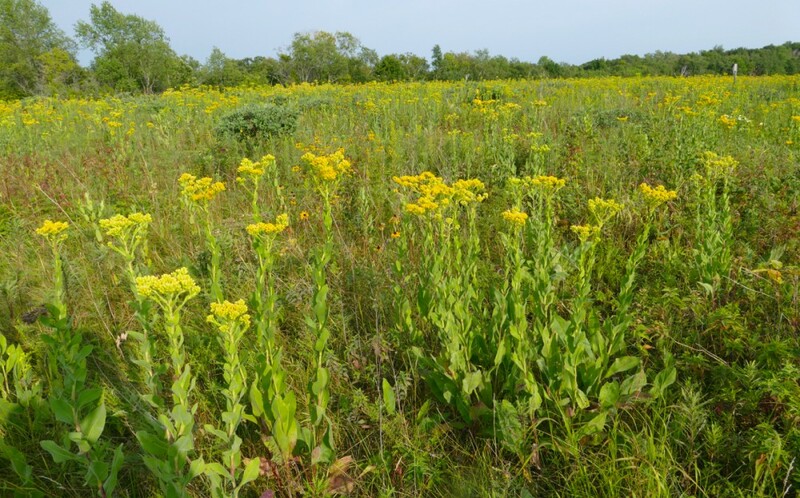 For quite a few years after planting the central area of the prairie was dominated by Stiff Goldenrod. (This photo was taken in 2014.) Since then, it has become more diverse. 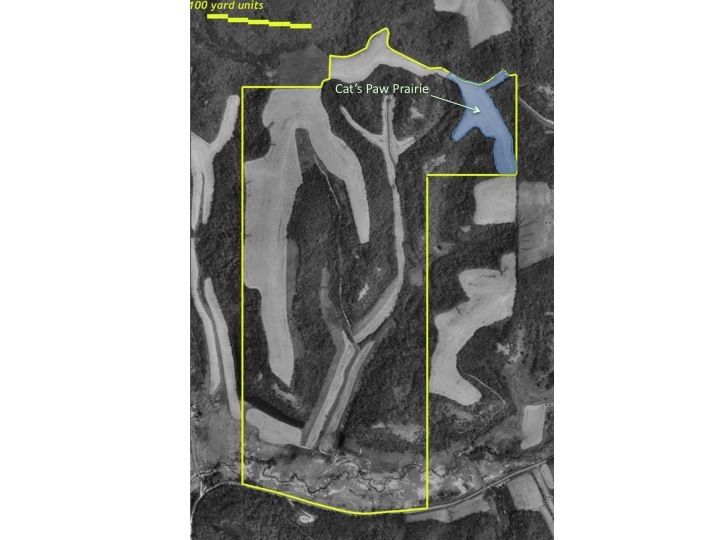 This shows the Cat’s Paw Prairie on an aerial photo of our property. This was taken from the drone on 6/4/2016, looking east over the Cat’s Paw Prairie. This is the list of seeds that were planted in the fall of 2002, and which ones I’ve observed growing.